Add some texture and character to your living room with this industrial end table. 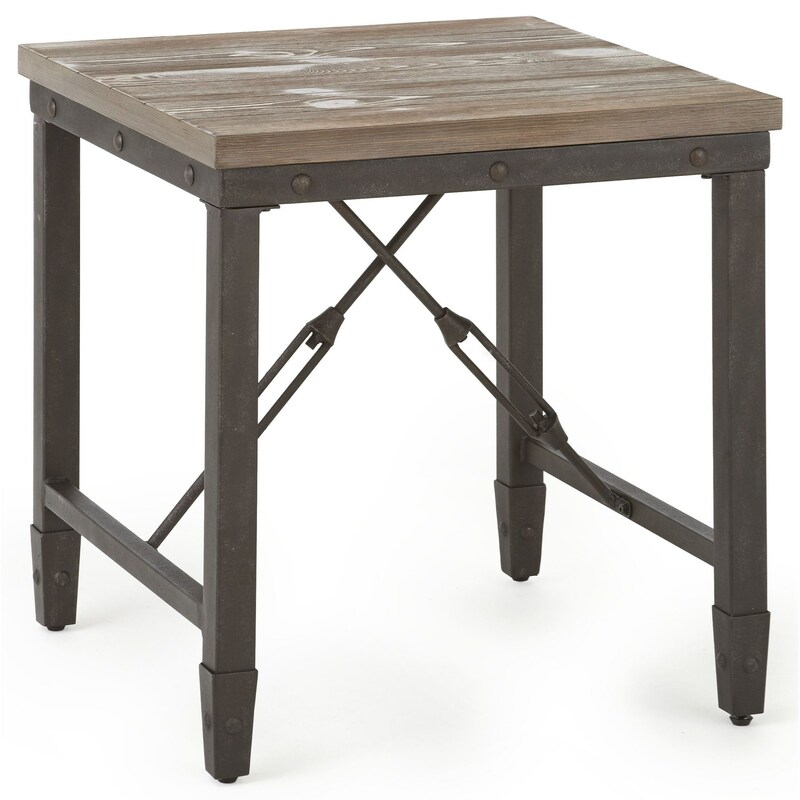 The iron base, adjoining cross stretchers, and riveted iron sides all work together to create a sturdy foundation. 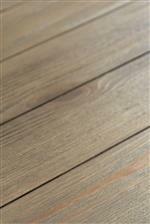 The simulated plank top is finished in an antique tobacco tone, adding an industrial ruggedness to a room. 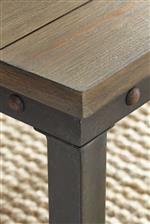 Perfect for resting drinks or decorative items on, this end table can bring integrity and functionality to your home. The Jersey Industrial End Table with Iron Base by Steve Silver at Northeast Factory Direct in the Cleveland, Eastlake, Westlake, Mentor, Medina, Macedonia, Ohio area. Product availability may vary. Contact us for the most current availability on this product. Every living room can benefit from this industrial table collection. Each piece features an iron base with unique stretchers and riveted iron sides. The simulated plank tops are finished in an antique tobacco tone, adding a dab of rustic flair to complement the industrial aesthetics. These pieces are perfect for a person who wants to bring style and stability to a room without taking up a lot of space. The Jersey collection is a great option if you are looking for Industrial furniture in the Cleveland, Eastlake, Westlake, Mentor, Medina, Macedonia, Ohio area. Browse other items in the Jersey collection from Northeast Factory Direct in the Cleveland, Eastlake, Westlake, Mentor, Medina, Macedonia, Ohio area.